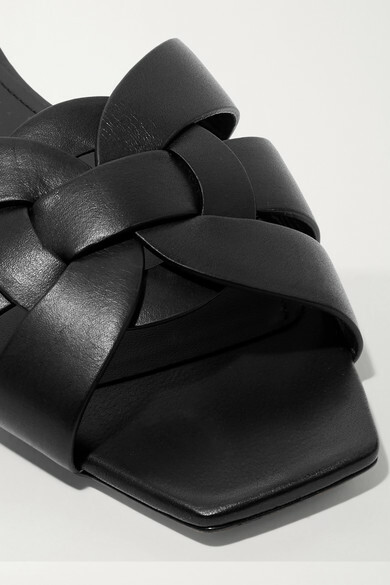 Saint Laurent's 'Nu Pieds' slides are the kind you'll wonder how you ever made it through summer without. 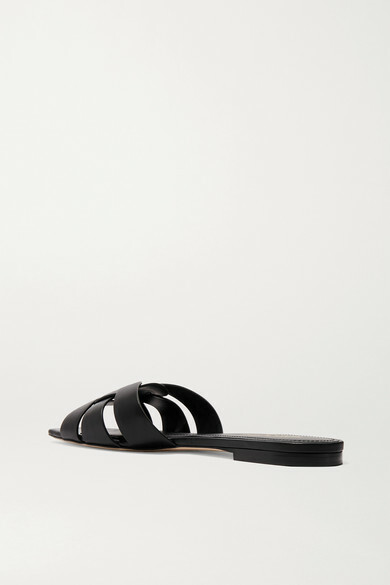 This pair has been woven in Italy from intertwining strips of smooth black leather and finished with a cool square toe. They'll look chic whether your vacation style is distressed denim or breezy maxi dresses. Shown here with: Saint Laurent Jeans, Saint Laurent T-shirt, Saint Laurent Jacket, Saint Laurent Tote, Saint Laurent Earrings.